Dr. Zhang completed her BS in Bioengineering and her MS in Biochemistry and Molecular Biology at Harbin Institute of Technology. She has a PhD in Environmental Science and Engineering from the same institute. 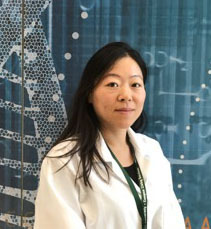 Xiaoxian has served as a research assistant at Brigham and Women’s Hospital and Harvard Medical Center in the Department of Pathology under the supervision of Drs. Li Chai and Sheng Xiao where she conducted work in the area of stem cell and cancer biology. Dr. Zhang current work focuses on molecular cloning, CRISPR editing in cell lines and optimization of gRNA efficiency validation approaches.